New photos of the Martian landscape further rule out a meteorite impact as the culprit behind the “jelly doughnut” rock that mysteriously appeared in front of one of NASA’s Mars rovers last month. 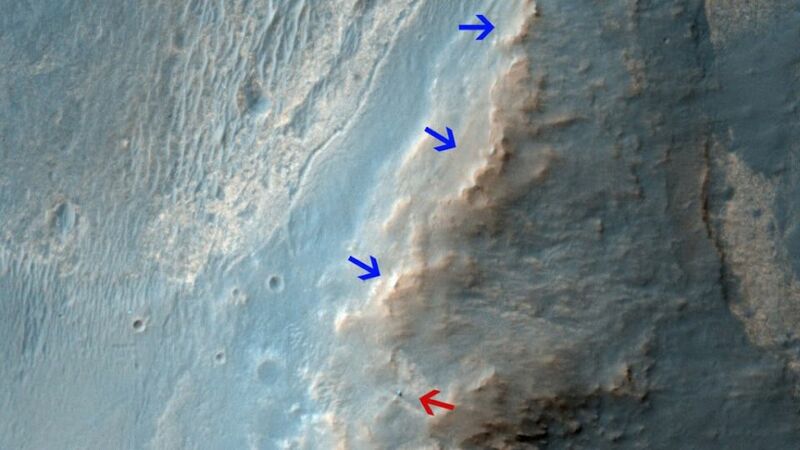 NASA’s Mars Reconnaissance Orbiter snapped pictures as it flew above the Opportunity rover on Feb. 14, and this week, the space agency released a photo from that flyover campaign. In a view that covers a patch about 0.25 miles (0.4 kilometers) wide, Opportunity looks like a speck and some of the rover’s faint tracks are visible, but there are no new impact craters in sight, NASA officials say. NASA scientists had already concluded that the rock was most likely kicked up by one of Opportunity’s wheels. 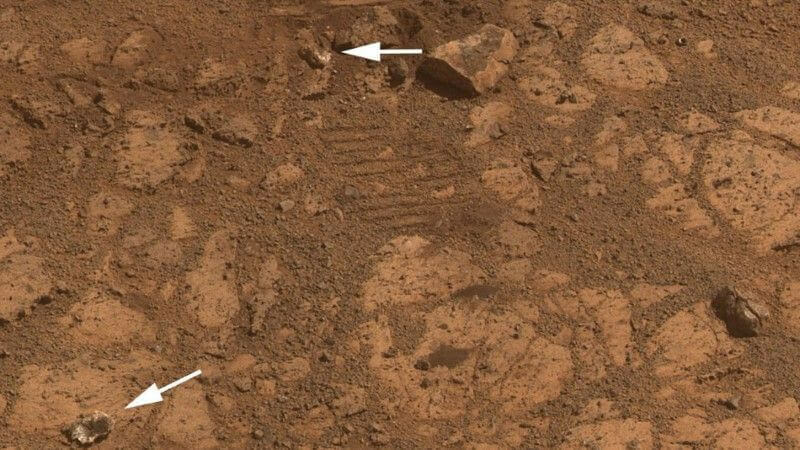 Using further observations from the rover, researchers said they could trace where the rock had been struck, cracked and moved.But that conclusion hasn’t stopped fringe theories from cropping up. One person has even filed a lawsuit against the space agency, alleging that NASA has failed to properly investigate what is likely a mushroom-like fungus growing on the Red Planet.